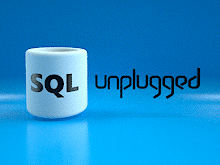 I would like to write a blog post about by far the most underrated online show about Data Platform – SQL Unplugged. Leaded by Scott Klein (One of the best tech evangelist that Microsoft has), this show focuses on talking about the Microsoft Data Platform development future, while hosting … SQL SERVER LEADERSHIP, being currently headlined by Rohan Kumar, General Manager for Database Systems, SQL Server, Azure SQL Database, Azure SQL Datawarehouse, Azure SQLVirtual Machines, APS/PDW. Sounds incredible, isn’t it ? As a matter of a fact, this show exist already for 2 years! 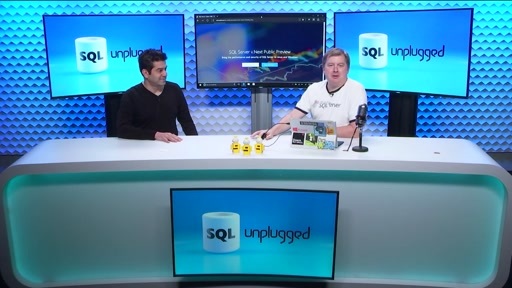 Starting with January 2015, Shawn Bice, Nigel Ellis, and Rohan Kumar( as the leaders of the SQL Server at that point) started doing this monthly show together Scott Klein. Well, check this out – this show is LIVE and as a bonus – you can ask anything you want about the past, present or future of those parts of Microsoft Data Platform, and you will be asking the person who is leading them and who is ultimately responsible for them. Please, remind me which other Microsoft or non-Microsoft technologies have something similar ? Yes, people – you can and you should ask tough questions Scott & Rohan, this is why this show exists. Every month, Scott & Rohan discuss some particular topic, with Rohan sharing his thoughts and visions about where the platform is heading, and what is coming next. By the way, before Satya’s coming to Microsoft, do you remember having any of such openness from the Microsoft leadership ? With all the respect I have for the previous SQL Server leaders (and I have had some opportunities to talk to those people), I simply can’t imagine them doing the job that Rohan is doing. While do not expecting him to spill all the secrets he does a great job of answering the furthest he can. Now, that’s enough of reading – just head over to SQL Unplugged Archive and watch the videos and most importantly watch out for the February Live edition of the best and the most underrated show on Data Platform – SQL Unplugged.